Hilton is running a pretty amazing promotion where you can get 50% off the best rate for stays at the Waldorf Astoria, Conrad, Hilton, DoubleTree, Embassy Suites, and Hilton Grand Vacations. You can also save 30% off best available rate at Hilton Garden Inn, Hampton, Homewood Suites, and Home2 Suites. These rates are valid for stays from December 14, 2012 – January 7, 2013, excluding December 31. You must book through their special sale site. 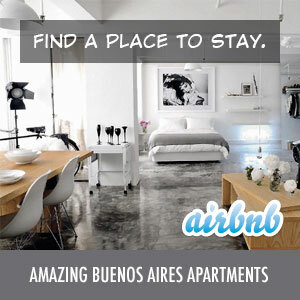 A quick check of their rates shows the Hilton Buenos Aires starting at only $99/night (plus 21% tax). This is a great rate for an amazing property in Puerto Madero – and it might be perfect for a romantic night out if you’re already in Buenos Aires! Let me know in the comments if you got a room at 50% off and where you’re going! UPDATE: The Hilton Garden Inn Tucuman is pricing out for ARS $335/night as part of this promotion too if you fancy a trip to Tucuman.